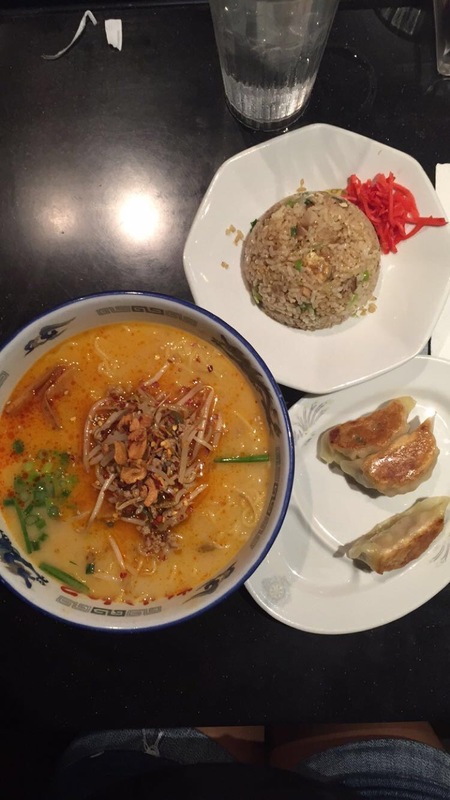 One of the first places I ate at downtown, the Japanese inspired eatery has two locations and AMAZING food. Anyone who follows me on snapchat (sydneywestside) knows that I'm there quite often. My favorite dishes that I've had there (and the only ones, stick to what ya know right?) are the Sweet Beef Bowl and the Sweet Beef Udon. Both are fantastic options and if you get the Sweet Beef Bowl GET THE SOFT BOILED EGG IN IT AND BREAK DAT YOLK OPEN AND MIX IT AROUND THE BOWL. It will literally change your life, and this is coming from someone who does not like runny yolks. ALSO it was at Marukame's where I was eating Sweet Beef Udon that I saw Hawaii Five-0 being filmed and I saw Alex O'Laughlin. We accidentally walked on to the H5-0 set and the crew told us to keep walking lolol. This place is incredibly small and you could miss it when walking past it, if not for the line of people waiting to go inside. We waited maybe 30 minutes in a line to get a seat inside. Almost our entire party of five, minus my brother, ordered the spicy ramen combo which came with a large spicy ramen, three gyozas, and a small fried rice. Everything was incredible. Hands down the best ramen I have ever had in my life. The ramen was spicy but not too overwhelming to where you couldn't enjoy the flavor of it. The fried rice was some of the best I've ever had in my life and I would happily wait in the line for the food again (there's also a Brandy Melville store practically next door so I could blow money I mean pass the time while waiting). Okay. I do not think you are ready for this next one. This popular lunchtime spot in Chinatown has a cool vibe and they even sell shirts that say "Turn Down Pho What" lololol. I've been on two different occasions and both times I ordered the P&L Pho. Let me tell you, it changed my life. The best pho I've ever had in my life (I throw around the "best blank I've ever had" a lot it seems), but it was so PHOn to eat, so PHOlfilling, and made me so PHOll (okay I'll stop). But ANYWAYS it was fantastic and for drinks I've also had their Coconut Horchata (which kinda tasted like the leftover cereal milk from when you eat Cinnamon Toast Crunch but in a good way if that makes sense) and the iced coffee. Get there early as it gets super busy. Now for desserts! 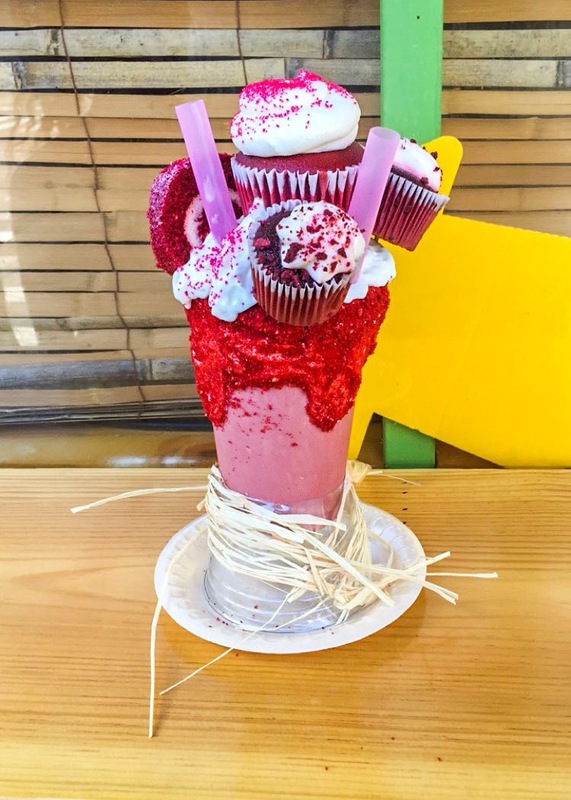 Also located in Chinatown, Volcano Shakes is a unique lil joint that sells massive shakes and also mini shakes called lava shakes. Named after volcanos, depending on which one you choose you could get a cupcake, toasted marshmallows, or cookies on top of your shake. The shakes are huge and it's recommended to share them and also to use their website to order so that you won't have to wait hours to receive one. Some other good places to check out are J.J. Dolans, Monkeypod Kitchen, and two popular chain restaurants Ramen Ya and Big City Diner.